You are here: Home » News » Financial News » Crypto Currencies » Reddcoin’s big price rise might take more time. In my dream, I was looking at a brown wooden sign with black writing engraved in it with some things I didn’t understand, but I knew it was about RDD. I saw 4 and in my mind I said, “Oh, I should sell at 4 cents”. Then I saw the chart of BTC on Tradingview.com and I saw it begin to drop very fast and quickly in a single candle all the way down (I don’t know the time frame of the candle). It kept on going and hit $6,000. As it hit $6,000, I saw in the same view the RDD price was going down and hit 0.23 cents as BTC hit $6,000. Then BTC suddenly rocketed from $6,000 with explosive force (RDD also began rising). I was watching the BTC chart full of green, ups and downs, but moving quickly up. But then I became surprised as it didn’t stop at $12,000 but kept going all the way to $30,000! As I saw it approaching $30,000, I saw RDD increase in price and hit a top of about 1.7 cents at BTC 30k. Then Bitcoin dropped suddenly and fast and I saw RDD dropping again from 1.7 cents. Dream ended. So this was surprising to me. What this seems to indicate is that RDD will not take off until this sequence is fulfilled. We still seem to have some more up and down moves of the kite before takeoff. My idea that RDD could take off at the coming drop to $6,000 seems to be mistaken. This confirms a prophetic dream shared by Z3er Ed H who dreamed of walking up a sand dune and at the top was various gems of different colors (other coins performing well), but on the other side and down the hill were covered in red gems (Reddcoin performing well on the market decline). What I believe this means is that RDD will take off sometime after $30,000 is reached in BTC. I didn’t see when it would take off as the dream ended, only that it hadn’t gone off YET. My dream of the red bar of soap splitting into red gems when it hit the floor shows also RDD will take off during a decline, but I believe now it will be after a move to $30,000 in BTC. When I saw the red gems on the floor, there was another large white gem and a few other gems already there potentially showing other coins had moved first. This might mean other coins will perform well (the other gems seen at the top of the sand dune), before Reddcoin takes off somewhere in the decline of BTC from $30,000 (based on the sell price ratio I received from the Lord seemingly around $5-$8k). Here is my updated idea on where it might move. This is speculative as I don’t know the exact sequence. In a separate dream recently, I saw a prophetic Technical Analysis of RDD moving to 5 cents and it felt more urgent. This could be fulfilled soon as I received again an instruction to sell at 4 cents. This could happen sometime after BTC reaches $8,000 potentially as I was shown that as a good buying point for RDD, or that move could be later. There is a BTC decline to $6,000 with a cheap entry of RDD at 0.23 cents (it moved quickly) before a fast spike upwards. It could be that RDD moves before this sequence that I saw. If this happens and RDD goes all the way to $3 and $5 then drops back to 0.23 cents, it would be a huge fall. It’s either RDD moves before this or after this. I can’t be entirely sure, there is a lot of information so it’s difficult to understand the sequence. So far, I’m not doing anything. If RDD moved first that would be good, but I’m not sure. I only have some parts of the puzzle and have to figure out how the rest fit in. The basics of what I understood from this dream is that RDD will not take off YET. It may take some more time. I don’t know how fast BTC can move to $30,000, it seemed very fast in the dream but this doesn’t always translate. It seems there will be some more up and downs of the kite of RDD. For those who are holding this is fine, but it might take some more time. I don’t know how this fits in with my dream seeming to indicate the end of autumn here (I don’t know if ash tree means anything particular) for the RDD move to $3. This makes interpreting things more challenging. There seem to be some good trades shown here, but uncertainties on what coins will move and when. If RDD moves to 4 cents, I’m planning an exit and re-entry near $6,000 BTC and I will probably hold RDD from there. I might enter into ETN when BTC reaches $6,000, and I don’t know how the LTC price run works into this. If RDD moves soon to 4 or 5 cents and you sold and re bought at 0.3 cents this would be a 13x gain of coins. This is assuming RDD moves to 4 or 5 cents soon and not later. Plus, I have seen BTC go to $30,000 then drop to $2,000, so we could have the major decline to $2,000 after it reaches $30,000. We might go lower than $2,000 as I have seen BTC under $1,000 and LTC at $400 and BTC at $400 before moving quickly to $1,000. This could mean LTC reaches a high price during the BTC run to $30,000, and the previous exit targets I was suggesting may not be appropriate. I have seen $975, $850, and potentially over $1,000 if this was USD for LTC. This is a lot to consider and think about. Especially since my recent RDD dream had a warning about not having sell orders in place. Caution is needed as there are more possibilities here than I can discuss properly. Please seek the Lord regarding your approach. Making trades is always risky, and if it is more comfortable for you to hold and wait, that is safer. It seems there will be some price moves before RDD takes off majorly. Watch for a RDD move towards 5 cents because I was shown this with more urgency. What I saw this morning in this dream is part of the sequence and must be interpreted and fit into the right timeline so again please seek the Lord. Regarding ETN, I’ve recently seen 31 cents being reached and my friend received something about selling at 35.5 cents which seems it could be ETN related. I also saw 4 cents and 51 cents (not sure what is first). I don’t know when ETN will move, but it might move in the coming move to $30,000 BTC. The move of RDD from 0.23 cents to 1.7 cents is approximately 7.4x price. The move from $6,000 BTC to $30,000 is 5x price. If ETN is under 2 cents at 6k and moves to 31 cents this is 15.5x price. The run to $30,000 BTC could be the third wave rise in ETN I saw long ago, with a cheap entry coming at the crash from $30,000 in ETN. I have been watching for this for a LONG TIME and do not want to miss it. I don’t know if the LTC run happens during this climb to $30,000, if it does I don’t know where the top of LTC is, as it could keep going quite high. For that reason I’m unsure now regarding an exit point for LTC but I’ll still be watching $11,300 BTC for LTC takeoff. I think the Lord is having us seek Him personally for guidance in these matters because they can be difficult to understand the right sequence. Knowledge without understanding can be troublesome to deal with correctly. Pray to the Lord for wisdom and understanding. Thank you Christine for sharing this dream. Just around 1.5 weeks ago a good friend was praying for our adversarial situation and she sensed a pot coming to a boiling point. She inferred that once the water had boiled a lovely, refreshing cup of tea awaited us. But the water had to finish boiling first and it was almost done. Your “tea” dream was very confirming. Very cool Christine B!! Thank you for sharing. I would just like to say that after further reflection, I was wrong to say examining the tea bag contents was akin to the practice of reading tea leaves. This is an ungodly practice and is done in a teacup by a fortune teller after the person wanting the reading has drunk the tea (which is made with loose leaf tea). It would have been better for me to say I was examining the interior of the teabag to determine what kind of tea I would be drinking – or what cup I would be drinking of. The leaves indicated I would be receiving wealth through Reddcoin and ‘winning the game’ so to speak, due to the royal flush. Thanks for expressing the humility you have in being careful not to offend anyone. Thank you for sharing these words Christine. The dream and interpretation are both encouraging and refreshing…. I believe I am one of the ones waiting in the hall…. though I wonder, what about the mysterious one relieving him/herself, locked behind that door? If everything else has meaning, I wonder what that’s all about.. I thought about that, perhaps represents those who can’t wait any longer and are offloading their crypto? Thank you Christine for sharing with us, Love you guys.., I was literally laughing out loud when you commented about the relieving person because in crypto world it is called Dumping. Here is the crypto currency market prophecy which you posted on May 9 from your unnamed friend. 1. Cryptos will continue to rally in May/June as we are completing wave 5 of current cycle. 2. The crypto top will be between June 11-18, and this is when I plan to sell most of what I have. We now have the benefit of hindsight to know this was a false word because the rally since April 1 did not continue but has dropped almost all the way back to the bottom. Bitcoin hit $7229 today, just $769 from the April low of $6460, down 27% from the May 5 top. To me, that discredits the rest of the word, topping between June 11-18, but we’ll see. I’m expecting Bitcoin to continue dropping because of the vision I saw of the RSI dropping to the bottom then rising to the top then dropping back to the bottom. The first two moves have completed and the third move is almost completed, but requires the price to drop more. Thanks James. We need more of this. Too many “prophecies” about cryptos being posted by non-prophets. I believe that some here are posting a true word from the Lord, be it a dream or otherwise. Others…..well, maybe wishful thinking is being posted. Which crypto exchange would you recommend for a novice in cryptocurrencies? Gemini has lower fees than Coinbase for using fiat to buy coins, but it does not yet have LTC. GDAX offers free trades on limit orders. I reccomend coinbase/gdax to get into cryptos and trade BTC or LTC. For other alt coins I mainly use Bittrex and Binance. I think Kucoin is very user friendly too. Depends what coins you want. Thanks I appreciate it. Anyone have any experience with next.exchange? Someone at work mentioned it. I joined it but not running fully yet so you have to purchase next tokens with eth to trade. Too much hassle so I am waiting for full operation before using. Dear James Bailey, please reconsider that the word might not be false. Please do not discredit the word just yet. A rally does not have to be continuous, because there can be interruptions within the rally, but it is still technically an overall rally. I disagree. This has nothing to do with whether or not markets are rigged. The only question is whether or not the prophetic claim that the rally would continue until June was true or false. Since Bitcoin has dropped back close to the original bottom and still dropping, we can safely conclude the prophetic word was false because the opposite happened. Surely a new rally can begin as there will be many more to come, but that’s irrelevant to this point. During my prayer time on February 11, I saw a graph of Reddcoin’s price moving up significantly. Then on February 14, I saw RDD at 737, which I interpreted to mean 0.00000737 BTC, but I am just guessing where to put the decimal point, so that might be a wrong assumption. At today’s Bitcoin price of $7,222, RDD would equate to about 5.3 cents, which is in the same range as what Christopher Harris saw recently. Another possible interpretation is 0.000737, which equates to about $5.30 based on todays BTC price, but RDD’s price changes fast as BTC’s price changes. Without knowing where to put the decimal point, the only thing I feel confident about is it confirms RDD moving up significantly because the current price is 0.00000086 BTC. I knew from the dream it was related to Cryptos… since at that time I was in the process of buying RDD. So I related it to placing my sell order. However, while reading your comment I was reminded of this dream and felt led to share it with you publicly. Please take it to the Lord for confirmation. May God keep blessing you abundantly! That’s awesome to hear how God is helping you and preparing you to prosper in your crypto trading. Thanks for sharing. Francy, putting an RDD/BTC sell order with a .00 is a very high price, such as been seen around $43. It could indicate Peter’s third spike. If you combine your 0.00 with James’s 737 and Scott’s BTC at $6000, you get RDD/BTC of 0.00737, which is RDD at $44.22. The Lord gave me a price to sell. That’s the only sell order I actually have. And it’s when RDD reaches $5 USD. Before I even purchased RDD, the Lord told me to throw my RDD into the creek. (Psalm 23)… so He usually tells me that when I’m too concerned about something…. like just throw it in the creek and He will take care of it. So I understood that I was not supposed to be concerned with RDD or changing my sell order as btc changes after I purchased them. I believe the dream was to emphasize the importance of placing a decimal… because I literally had no clue at the time how to set up a sell order and how important was to pay attention to the decimal point. However, I will take your comment to the Lord, perhaps there’s something more He wants to reveal because I felt led to share that dream when I read James comment. Marcio and Francy, 0.00 is not far off from what god has shown me. Its just not a high 0.007 but on the lower end of the scale. I’m thinking James number of 737 could be what he posted 0.000737. I think James might be getting out earlier than some of us. I’m pretty sure we are not supposed to have the same price and this is how the Holy Spirit is spreading it around. Fred, great video. So if June 6 could be start of BTC rise, what is the expected BTC bottom, support level, or fib for June 5? Around $6300? …for Fred, Ed, Colton, anyone to answer. Hi Marcio, BTC price might go down to $6500 which i don’t believe, i think it will stay around $7300 area……. but what I am thinking now is almost everyone on http://www.tradingview.com is talking about june 6……..now the really big players know about this and they are going to make it look like BTC is going to 20K once again, the weather is nice, FIFA 2018 is starting on 14th of June….. people are buying the hype and the price goes up until 15K area and suddenly the whales will drop BTC back to 5K area and the bear market will continue till November and BTC will go to 35k. I don’t have a clear interpretation of 737, but perhaps it means 0.000737 BTC. I have not considered setting my sell price there, but perhaps I should. Most of the RDD prices shared by others have been lower than that, so I’m wondering why you said I would be getting out earlier than some others. Scotty, I forgot who, but one Z3er had a dream where 0.000555, I think, was the top in which the sell order partially filled. Depending on the BTC price, this could be the top of the 1st or 2nd spike. So, I am thinking 0.000737 is above the top of 1st spike. Marcio, that sounds about right for the first spike. I think someone saw the first spike at 2.22. so 0.000555 would fit that. I think I am waiting for the second or third spike. I have my sell orders in based on what I have been shown so that way I am in agreement with the Holy Spirit. I would rather wait, then do the wrong thing and then have regret that I didn’t follow the Holy Spirits lead. Scotty, BTC price would be only $4000 if $2.22 = 0.000555btc when Rdd spike. John, I think the best indicator so far is from Jeff whose target sell price for RDD is $1.97, and after praying, I think his wife got really clearly 5743, which they understood was the BTC price for that target. That’s a limit sell order of 0.00034. BTC price will change during spike, but I don’t think by much given the speed of the 1st spike. So far, I am taking the 1st spike top is slightly over $3, per Manny’s dream of smoke over $3 and Christopher’s dream of dad coming out of house with phone in hand. Based on this, we can have an educated guess of what the RDD price will be when we sell at our own sell order ratio and whether it could be in 1st spike or later. Thanks for your view, Marcio. Thanks, John. I’ll jot that down. If my memory is correct, it was Maria saw 555. But she did not say it is 0.000555. My understanding is that 0.000555btc is not a confirmed top of the first spike of RDD. Maybe the idea was to put decimals, not to count zeroes. My point was only regarding the price history, not the future possibilities. The rally from the April 1 low ended on May 5 as the price has dropped 27% and still dropping and looks like it might even drop below the April low. That’s a crash, not a continuation of the rally. I am expecting a new rally to begin when it hits bottom. June is also the 6th month. 6/23 = 29. Probably a stretch but it fits. Thanks for the encouraging word, Christine! The 144.3 is like a date/time stamp? Thursday was day #144 of this year, plus 3 hours? Interesting. I am wondering whether 144.30 means add 30 days to the 144th day, which was last Thurs. This would take us to the 174th day which is 23rd June or 06/23, which is a Saturday. 6+23=29, which is the total we got from adding the numbers on the big green egg number plate. Interesting dream, Christine. I’m happy to wait in the hallway while you finish your tea. It makes sense to me that the 144.30 is the price of lite coin, but I guess we’ll have to wait and see. Christine, I’ll pray, and anyone else can pray, that someone gets a dream/vision of the exact meaning of 144.30. God bless. Thanks, Highlander. That is interesting because I wasn’t sure it was currency when I saw that number. Perhaps 144 days plus 3 days? I actually woke 3 hours after the 144th day ended at midnight. Defintely need the Lord to clarify further! Or 144 hours added to the 144th day gets you to May 30th. Bathroom metaphors are fairly common. They speak to releasing the toxins that come with a loss. I get these dreams when a loss is coming, and I need to deal with the emotions associated with that loss. A losing trade is “flushed down the toilet”. – Perhaps someone “in the group” is in danger of losses, or loss of potential profits from their trade/sell orders? I just got on Tradeview and noticed BTCAUD closed at exactly 144.30. I don’t know if i’m reading the chart wrongly because I googled 1 BTC to Australian dollars and it said 9,557.82. Maybe its just another confirmation of 144.30 or maybe its something else. Just an interesting observation. Did a bit more googling and found out it might be an API issue on TradingView. TradingView provides the BTCAUD charts for BTCmarkets.net and on there, the prices are correct i.e 1 BTC to 9596 AUD. Looks like the APIs for BTCAUD on TradingView needs to be updated. Still intriguing it got stuck on 144.30 though. Maybe TradingView will fix it soon and that might be an indication that our RDD exit is near. Just speculating. Maybe it got stuck, so that we could see it, possibly as a sign. Ah, but it has been stuck at 144.30 since 2-25-14. So I don’t know. This 144.30 is BTC/AUD from Mt. Gox from the time they shut down in 2014. I do believe the remaining Mt. Gox sales are being handled privately. I just think sentiment is hurting the Cryptos right now. Which happened because of calculating whales and the drama which that entails. Christine, when you said at the end of your dream,144.30, it instantly dropped into me that that must be LTC. best result to be obtained. I encourage us all to pray for this and that with all the information we receive, the successive and relative movements of the coins will become so clear that we can act with confidence when a decision has to be made. Having a nice segue from Reddcoin to Bitcoin (or perhaps even Lightcoin) would be ideal if the the coin you bought would immediately start rising! I very much hope that all of us here will be successful with this venture. Awesome thanks for sharing Christine. I am hoping it is sooner rather than later! The Lord’s will and perfect timing be done. It’d be good if what I saw in the above post was after the fact and the RDD rise had already happened. Thanks again Christine. I checked a note I wrote down last night coming out of a dream I forgot to mention. It was “liquidate $3 hold for us”. I don’t remember exactly what happened in the dream but I believe the feeling was people will liquidate their holdings after the $3 spike but I’ll be holding on for the price the Lord gave me to be fulfilled and to not worry when that time comes but be trusting in Him. I can imagine people could worry if there is a dip after $3 is reached before the next spike as if their order is higher they may think their order wont go through. Seek the Lord and trust in Him. I know when $3 comes to wait for my order to be fulfilled and not to be concerned. This could go with what you said about people taking an earlier exit Christine (though there could be earlier than that). Follow what the Lord is guiding you. God bless, Christopher. Thank you so much Christine for sharing your dream. I see the trading volume of Rdd is now ranked 3rd at bittrex, giving us much hope that the huge spike would be sooner rather than later. Litecoin is trading at around 0.0161 bitcoin. Assuming the number $144.30 Christine saw is the value of litecoin when rdd rises, we divide 144.30 by 0.0161 which would give a bitcoin value of close to $9000. Christopher Harris saw bitcoin at $9000 earlier today. So the first spike of rdd to $2.22-$3 range may occur when bitcoin is at $9000. The second rdd spike to $5 when bitcoin is below $6000 may take place later. Just my own thoughts and interpretation. Thank you Christine for comforting words. It is such a treasure to read about people’s Spirit filled dreams. Thank you, Lord. I needed some good news. Awesomely beautiful! Thank-you for sharing this, Christine! I think 144.30 is coming soon on this positive uptrend of litecoin…. Around June 6 and then fall again…. With Some prophetic insights as shown in Christine Rdd dream…..
this dream doesn’t coincide at all with Alison’s (or was it Maria? I forget now) seeing not much happening with the rest of the markets when RDD spiked. I am going to leave my sell orders in place as is, unless I get direct further instruction and confirmation from the Lord. me too Christine Beadsworth, i will leave my sell order the way it is because some how this dream does not connect with the other dreams people posted here. the lord does not give us the spirit of confusion but a sound mind, some how this one just made me confused. Maria also thought she heard it would be on a Saturday. I’m still holding out for May19 !!! 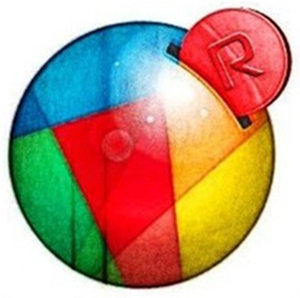 It was on January 7 when Maria shared how God instructed her to sell Reddcoin for $5. She was not shown any dates, just sensed it was soon. She mentioned 3 months based on a previous word she received regarding Litecoin prices moving up, which was fulfilled in about 3 months. David Sr saw numerous alt coins shooting way up in the middle of the year, which confirms some Reddcoin dreams received by other people showing kids were out of school, autumn season in Australia was over, etc. James, your Fat B here! So are you going to now exit out of Reddcoin when it goes to .04 or .05? Or are you just going to hold to around $5? I have a sell order to sell RDD when it gets a little over 4 cents. I am hoping to then buy it back for something closer to 0.23 cents, but also interested in Litecoin when BTC drops to around $6,000. Was it Maria who was instructed to buy 90% of her RDD profits to LTC? This would make sense if RDD spiked first to $3 or $5 and then LTC goes to over $700 when BTC is around 12 K. This to me is another reason why Christopher is seeing a drop and rise of RDD later on, and not the 1st or 2nd spike. The “4” that he saw written on the wooden sign may represent RDD’s 4 spikes. Make sense. We are not changing our limit sell price anyway. Just wondering if the first spike happen before 0.23 cents come out, then we can buy up all the rdd circulating, when rdd get to 0.23 cents. It would be a great wonder like this. In Christopher’s dream, when BTC dropped to $6,000, he saw RDD rising from 0.23 cents to 1.7 cents. So that sequence sounds clear. Separately, he saw it going up to 4 or 5 cents and it seemed urgent, so it seems like that spike could happen prior to the drop to 0.23 cents. Christine, I agree. It has been seen multiple times that RDD will spike fast, as a surprise, over $5 within or very soon after a $3 spike, and while mostly other cryptos are stable or low. This would rule out BTC at $12 K or 30 K, since BTC pulls up most other coins. I believe Christopher is seeing what happens to RDD on neither the 1st or 2nd spike, but later when BTC is going to 6 K and during the 30 K rise. We have been warned multiple times to hold our RDD limit sell orders in place. It will come suddenly. I will not waiver and fall off due to confusion. Ali and others saw other coins were not rising when RDD moved way up, but I don’t see any reason why that must happen before BTC rises to $12,000 or $30,000 because BTC is then expected to crash all the way back down to about $2,000. Then RDD could move way up while other coins are still down. I think Christopher’s latest dream confirms a lot of previous RDD insights and I think he’s right about the sequence because it’s unlikely to rise to $5.00, then drop to $0.0023. His red soap dream shows the same sequence, hitting the floor first. Yes. Your reasoning makes sense. The first spiking to $2.22 / $3 may happen around btc $8k. The second spiking to $5 may happen after btc $30k ? This is getting really interesting in trying to figure out these puzzles concerning RDD. William, this your remark makes sense to me in the sense that after reading Christopher’s recent prophetic dream of Reddcoin increasing to $3. I prayed over the revelation so that I could got my personal divine insight on that. That night I got a Prophetic Dream, and in that dream I was telling somebody that I was waiting for something to occur. Actually I didn’t tell the person exactly what I was waiting for but within me I knew it was Reddcoin Spike. In that dream the person knew it will be an investment but due to the fact he was not familiar practically aware of the biz, he didn’t put interest there. So, my personal interpretation which may vary with other person, I think $3 maybe next great place God is directing our attention to. I thank James the owner of this divine forum. It’s been kinda quiet on the RDD front 🙂 But we do know He has it all under control!! I had an encouraging God dream on 26 May…It involved my son, who I have invested in RDD. Short version of the dream is that when my sons “Bitcoin money” comes in he is to buy a piece of property as a go to safe place. That my father and I are to start building and preparing It and make it a priority EOD. The Lord was very specific with the exact property. I won’t get into any of the particulars, but suffice to say God is too cool in how He confirmed it! So the next morning I tell my son the dream, he mentioned that we don’t have any Bitcoin. I mentioned yea, but it could just mean using your crypto currency investment. A short time later the Lord dropped it in my spirit that he will have lots of Bitcoin once the RDD sells and transfers into Bitcoin…. I was very thankful that the Lord is directing me with regard to His money as it comes in….like others, I want to pay off debt and bless the church, but this was very specific to my sons investment and my son is good with it. Lord help us all be good stewards with Your money. soo True John McCanada, He has it all under control. and there is so much to be done …… may The Lord give us wisdom like Joseph. We pray the Lord will bless the build. Jeff, I feel good about your understanding of 5743, but my feeling is a moot point. A Bitcoin low price at time of RDD spike looks consistent with Teresa Hatcher’s dream of a low flying red warplane hitting a power line. So Jeff sells RDD at $1.97 when BTC is at $5743 (0.00034) and Scotty sells RDD when BTC is at $6000 with unknown price (?) BTC could bottom at or below Nick’s $5603 or $5306. Manny’s BTC at 5 K could be to buy RDD before 1st or 2nd spike with BTC bottom in the 4 K range? Jeff, that .00034 is a number that I was made to pay attention to. On May 1st I was doing a calculation on a calculator (I do not remember the equation) but the answer was .00034 along with 2 other digits following. (Those also I do not remember). Upon looking at the .00034 (+2 more digits) My attention was drawn to it and locked on to that decimal. It became apparent to me that I was looking at a very important decimal. Because It was as if, by the Spirit, I was grabbed by both ears and forced to observe that decimal. I dont have a better way of describing what that moment was like?? I knew I was looking at a very important, significant number (.00034–) I erased the number off of my calculator (of which I regretted later due to forgetting the last 2 digits) and I did a calculation. – You see, the decimal number looked familiar to me in doing RDD/BTC calculations beforehand. My calculation was 3/.00034 = 8823.– After this I did another calculation thinking that I could remember at that time the last 2 digits. I think I remember the answer of that equation to be 8818.– That night, over night, BTC bottomed out at 8823. on one exchange and 8818. on another. I have no clear indicators of why all of this added up, so I was left to not speculate on the reason why?? All I am very certain of is that the decimal .00034 locked on to my perceptions as being very important. I calculated 3/ by this number due to I was setting all of my RDD sell figure at $3. 5743 is close to Nick’s 5603 and is within Scotty’s “Sell RDD under 6K btc” if I remember right. This may add to our trading confidence. Jeff, also my dream’s set RDD sell price of 0.0005x (x being between 1 and 5) would be very close to $3 and would fill if the 1st spike tops at $3. I had been thinking that I would end up having to wait for a 2nd spike, even though I really need it to fill sooner than later. God bless. Marcio, I was thinking of my wife’s dream three months ago about we were in a hotel. When we tried to order for some food, the hotel said we can have 8K buns and hotdogs OR 5K buns and hotdogs. If buns represents BTC and hotdogs RDD, it means we can still buy RDD when BTC at 5K before RDD spikes. I’m also wondering if BTC at 8K is the first spike and BTC at 5K is the second spike of RDD. I’m hoping the spike will be on the end of May or early June. It could mean that the RDD/BTC ratio will be about the same, whether at 8 K or 5 K BTC, since RDD and BTC will both be dropping before the RDD spike. On 5/18/18 3:00:00 UTC on Bitfinex, BTC was at $8000 and RDD/BTC was at 0.00000092. We’ll test this and see if BTC at $5000 has the same RDD/BTC ratio pre RDD spike. BTC at $5000 and RDD/BTC at 0.00000092 would mean RDD would be at $0.0046, which is a little over the $0.004 price during 1st week in April (very near bottom of current cycle), and consistent with Teresa’s dream of low flying red warplane hitting power line a little higher than crowd level. I’m really rationalizing this so this scenario is very likely not correct. Thanks, Manny. I think those are more pieces of the puzzle to figure out. Z3, Christophers dream may seem confusing but it also makes sense. We all see in part and then we try to figure out the puzzle. RDD at .04 would be an all time high and there will be a selloff at that level. I also like many here have sell orders in place. I will keep them updated and current. If RDD does not spike by the end of May , I will also add one more sell level at .04 cents to sell enough RDD to pull out my initial investment. Then all my remaining RDD are free and clear. My dream implied to me we were at a peak and then RDD was on the downside. We are no where near a peak in the crypto market.. He could be seeing a future peak. Maybe my dream was a future peak. Ali and Christine seem to have gotten the first spike revelation. So we pray and ask God to help us sort this together. The first spike is the greater ROI, and that is the one that will be the surprise. So far as far as I can remember there has not been a dream of where RDD started on these spikes. I say we start praying for that intel. Ed! I looked up when you had your RDD dream of going up the sand dune, crypto peak, and it was on the night of May 3/4. The crypto market peaked for this cycle on May 5 with Bitcoin at $9990 on Bitfinex (2nd and higher Bitcoin price peak). That is what I understood was this crypto hill and now we are on the decline towards a bottom maybe around end of May or beginning of June. I just saw a post before from Richard stating that his friend heard from God the peak is from June 11 to 18, then bottom in September. I think this pretty much coincides with what David Sr saw. Wow, ok that is cool. I was thinking long term not the current cycle. We will soon see if RDD has its moment in May. Ed, also the very high BTC peak last December would be a mountain, the early March peak would be a foothill, and I would understand the early May peak would be your huge sand dune. I would not think a 30 K rise would be just a huge sand dune compared to the previous peaks. I could be wrong as many times before, but this is how it makes sense to me. God bless. Very wise advice, Brother Ed. We have heard potential starts by BTC price, but not at what RDD price. Something to pray about. Having both would help tremendously. I’m still hoping it’s sooner rather than later. Had a dream this morning of seeing RDD on an exchange and chart move from 12 cents to 20 then I saw it had gone to 59 cents and I was trying to login to sell. That was the dream. I wasn’t aware of another potential trade for RDD. I’ve been shown about 5 cents but in this dream I was trying to sell at about 50 cents. Please take this to the Lord for confirmation and if you should act on anything or continue holding. God bless. Christopher. Thanks for sharing chris…. Soon everything happens in god’s timing….. So I have seen many crypto currency such as pls see Cob, Xrp,xlr and other crypto jumped from….12 cent to 1$ and then to 5$ six to seven days r within 2weeks…… So every prophecy is given by god is lining up….and Christine’s dream about royal flush going to be started soon from litecoin upmovement to 144.30 just a guess pray to god seek guidance this is my own interpretation…….. Praise god I think we are nearing…. Thanks Chris! That loosely linesup with Peter’s RDD peaks formula if I remember right peak 2 is 2x p1 (so 20c is about 2x 12c), peak 3 is 3/4x peak 2 (59c is just under 3x 20c). All these numbers are a little complicated, there may be many different moves. I think you’ve seen .05$, .29$ too not to mention the 2-5$ others have seen. I prayed much to the Lord last night as to whether I had been deceived or if that dream was from the enemy. When I receive dreams from the enemy there are usually several signs involved and the Lord allows it to be and I quickly understand who it’s from. There wasn’t such signs when I received this sequence in dream. I also prayed if it was from the Lord that He strengthen me in truth. I am not above being deceived and I will continue to seek the Lord. So far the Lord has not corrected me. Last night in my dreams I received the word “exodus” twice. I believe part of the funds the Lord is bringing to His kingdon on earth is for the purposes of separation and departing from the evil ways of the world. Also as Christine mentioned the transfer of resources that took place during the exodus. I will continue to pray and seek the Lord. As I said, if you hold and wait with your orders in there should be no problems, ensure they are updated though every 28 days. Christopher. Christopher, last Monday when I was reading your dream about the RDD going up to $3.00 my wife had a short flash vision of someone handed her a letter envelop. The letter envelop has four address boxes (2×2), two at the top and two at the bottom. The left topmost box (Box 1) it has word REDD on it, then on the corresponding box (Box 2) there was red colored chart. Then she looked at Box 3 (bottom of Box 1) there was a word BTC on it and just below that there was a number 4.2. When the word BTC started to bounced up and down the number 4.2 suddenly disappeared and the chart in Box 2 became a green chart. She was not able to remember what’s on Box 4. The 4.2 might be 4.2 cents. I will sell some of my RDD at 4.2 cents then buy back at a lower price. Thank you for sharing your latest dream. 4.2 was in the BTC section and may lineup with the prophetic 4.2k Bitcoin prices. It would only make sense that RDD turn green at that if it’s a btc bottom. Jason, 4.2 k BTC makes sense. RDD of .23 cents x 7.4 is 1.7 cents. 4.2 k BTC x 7.4 is 31.08 k BTC. Their rise during the 30 k run up is very similar and may indicate the general rise of many cryptos keeping pace with BTC. This would imply that RDD’s rise to 1.7 cents from 0.23 cents is not one of the 4 RDD peaks, but its rising baseline. God bless. According to my notes Renee saw 4200 & 4400 btc, Chris Harris may have seen as low as 4290 (as far as recent expected moves). Is 6k the bottom according to Chris Harris’ latest dream? IDK maybe 42xxish is then the spike happens at 6k. Also remember to consider that we can hit targets more than 1 time so the prophetic target may not be the first hit. I keep cautiously adding kraken BTC shorts. Jason, if you don’t mind, could you explain the steps to short BTC on kraken. Do you need special authorization? This would be good to know when we are at BTC peaks. God bless. Thank you, Jason. That was a very good explanation with cautions on risks. The odds are clearly stacked on the exchange’s favor. If the price doesn’t go your way, they liquidate your collateral. If you hold beyond 28 days, they liquidate. I wish there was a crypto that was always the inverse of BTC. God bless. They only call or liquidate as far as I know if you position is losing enough (or 28 days you can just restart your order i suppose). Also you MAY be able to short bitcoin stocks such as GBTC on stock exchanges but that’s another can of worms. I made a post a while ago about crypto stocks for a list. I’ve never heard of an inverse crypto ETF or whatever. I believe RDD 0.23 cents will come out in the future. Imagine when btc drop to $2k, $1k, even $400, a lot of coins holder except us would be very panicking. It is only that your dream of your dad checking the rdd price get to $3 and you are scheduled to meet your family/dad on 29th of May has given us such a high hope that the rdd spiking is really coming very soon. So this new dream of yours ( btc going up to $30k ) is a big surprise. Yes William, I tend to agree with you…Maybe God wants to show us what RDD will be worth in the future (after the BTC 30 k run and down to 2k). I always had the sense that RDD will perform very well quickly but would not be worth much after that IN COMPARISON with other more valuable and useful coins like EOS, PPT, OMG, LTC , DEB etc…Maybe God does not want us to emotionally attached to RDD ……and want us to plan for the period after RDD reaches $5 ??? And sow to Harvest wisely ! I would be one of the persons who mostly wish this RDD spiking ( $3 ) would happen before the end of May. I indeed have planned to give sizeable offerings to the Lord after the RDD spiking. And I can make this sizeable offering only after the RDD spike. But according to that post ” https://z3news.com/w/prophetic-dream-reveals-august-great-time-to-sow/ “, August 25 would be an important date and August is great time to sow. I assume the spiking of RDD should happen on August 25. August 25 is also a Saturday. I am thinking to patiently waiting for another 3 months. If this RDD spiking happens before the end of May, we would have much joy about it. I doubt it will happen tomorrow but we’ll see. Aug 25 is also an interesting date… But Aug 25 would be the time to sow only if RDD had alread spiked ! But what if RDD spikes on Aug 24 (first spike) and on Sept 24 (second spike) ? That would fit the 24,24 date dream ! We will see ! Dear Christopher Harris, from your previous dream (and corresponding youtube video), I understand that the BTC move down to $6k before spiking up is a separate vision from the BTC move up to $30k. Using information gathered from your previous prophetic revelations, we might have BTC price moves of $6k to $12k+ to $4k+ to $30k to $2k, but I am not sure. Thank God for you Chris. I’ve been praying for some more revelation about RDD and this brings more clarity. Personally, I think RDD hits 5 cents and 30 cents on its way to $1.71. It might explain why i sold at 5 cents in my dream. I was probably thinking it would drop so i could buy low and ride it up to $1.71. Either it did not drop and kept rising to $1.71 or i somehow missed when it dropped. Either way, 5 cents seems dangerous for me. Also, we don’t know where RDD stops when it starts dropping from $1.71, maybe the better trade would be to skip 5 and 30 cents, ride it to $1.71, then buy in again at whatever RDD is when BTC drops from 30k to 6k. Just a thought. Thanks Christopher, I was on your website last night and found myself reading some of the comments that you need to deal with…wow. Be blessed brother and thanks for the update. Thanks John, you should check my youtube comments haha. Dear Cunny Fred I saw the move sharply from 6k going up, and I saw the approach to 30k in the next scene and drop from there. It’s possible there are moves between this in the move to 30k. Or perhaps the move to 12k and 4k happens before the 6k to 30k move. I don’t know exactly how it fits in, because there are figures that are unfulfilled that I and others have seen and I am waiting to see how it works. Dear Lolu, when I saw RDD when BTC was at $30,000 it was 1.7 cents I believe, not $1.70. I then saw it fall as BTC fell. I’m not sure when $1.71 is coming, and I’m not sure when 30 cents RDD is coming. I’ve only seen 4-5 cents, 30 cents and $3 so far in RDD. So not sure when these things happen in the sequence. Yeah I remember your comment about not trading the 5 cent move. I prayed to the Lord if I saw 1.7 cents wrongly and maybe it was 17 cents or $1.7 but I haven’t received any correction and I believe it was 1.7 cents. If I am corrected I will update. Christopher! Sorry! Was thinking .0017, not 1.7 cents. Thats why it confused your Fat B. Been working on a cruise ship and have only one day off sence February. So Fat B is tired and its hard to keep up since internet is in and out. Anywho, disregard my question. I understand now. Christopher, Fat B here! When you saw BTC at $30,000 and RDD was around 1.7 cents, you’re saying that RDD actually went lower from 1.7cents as BTC fell from $30,000 right? Thank you for sharing. The Lord showed me one of the points to do a sell order for RDD was 30 cents. So this is a confirmation for me. Hi Christopher, do you still plan to trade Litecoin? Thanks. Yes I hope to, not sure how it fits in yet, but I saw $87.5 in a dream recently for LTC, so think might be a coming entry. Thanks for sharing that great confirmation. I saw LTC at $88 and Maria Conwell saw it at $87. Dear Christopher Harris, how recent was this dream? Do you think that LTC might hit $89.5 when BTC dips to $6k? Dear Christopher Harris, do you have a prophetic price for BTC when LTC is supposed to hit $87.5? Was recent, in last few days. Wasn’t thinking about LTC but it came up. No price for BTC when this is reached. Not sure when it will be reached either. Last time we hit 6k LTC didn’t go that low so perhaps there are more moves before the 6k sequence I saw. Tonight in dream I saw RDD at 0.4 cents and rebounding to 0.6 cents. Not sure when this move is. I previously saw day or so ago RDD at 0.96 cents moving to 0.78 then I was waiting for it to move to 1 cent and I was expecting it to move some lower from 1 cent. Few smaller moves not sure how to place it though. God bless. Christopher. BTC is currently at $7500 and LTC is at approximately $120. The Ratio of LTC to BTC has been falling since February 2018. During the February dip, the LTC/BTC ratio was 0.018, in April it was approximately 0.017, but right now the ratio is about 0.0159. If BTC drops to $5800 (saw by David on May 31, 2018 10:29 PM), then it is possible that LTC might dip to $87 or below, because the alts usually dip harder than BTC. A LTC/BTC ratio of 0.0145 – 0.015 is easily attainable, if LTC dips harder than BTC in the next dip to $6k BTC. Thank you, Christopher, for new revelations. Have my sell orders in on Cryptopia and patiently waiting. Saw this news in the RDD Telegram chat today. “Basically Redd-ID which will be released before end of June, will help to allow use of Reddcoin on all possible social network platforms”. This could be a possible change that will cause more buying. Thanks for all that has been shared. Maybe it would be unwise for the two whalers to buy out a lot of RDD after the release of the Redd-ID when RDD would be more in demand and at a higher price. I’m thinking the spike occurs before this release. This is what we’re all waiting for! Last night I saw in a dream a room and an object fly off the floor into the air and explode into various colours. That was it. I forgot it but it was brought back up in my mind when I was near waking. The colours I guess looked like the RDD ones but I didn’t get confirmation what the dream was about. So the object flew off the floor, are we at the floor or does this come soon? I’m still seeking the Lord regarding the sequence and RDD and this is all I’ve seen so far. Christopher. Thanks Christopher. This sounds like a confirmation of your red soap dream and Ed H’s sand dune dream, all showing RDD must first go down before it goes significantly higher, $4-$5, although the move up to 4-5 cents might be sooner.